Milwaukee, Wis., June 15, 2015. . . Marcus® Hotels & Resorts, a division of The Marcus Corporation (NYSE: MCS), and MCS Capital LLC, today announced that Marcus Hotels & Resorts has been selected to manage the new Capitol District Marriott hotel currently under development in Omaha, Neb. The 14-story high-rise hotel is being developed by Shamrock Development, Inc. as the anchor for the Capitol District upscale urban destination dining and entertainment district, located in a prime redevelopment area in the city&apos;s downtown. Marcus Hotels & Resorts will be a minority investor in the project and has provided pre-development and design programming for the project, and will provide technical consulting and pre-opening services during the construction phase. MCS Capital is The Marcus Corporation&apos;s hotel investment subsidiary. Located at Capitol Avenue and 10th Street, the 333-room full-service hotel will also have 20,000 square feet of flexible meeting space, including an 11,000 square-foot ballroom. The new ballroom will be the largest among the downtown Omaha hotels. Other features include a full-service restaurant, two bars, Starbucks® store in the lobby, extra-large fitness center, a rooftop outdoor swimming pool and a parking garage. Construction is underway, with completion anticipated in spring of 2017. "The Capitol District is going to be an exciting addition to downtown Omaha and we are very pleased to be selected to manage the project&apos;s anchor property. A number of factors came together to make the Capitol District Marriott an excellent opportunity for Marcus Hotels. We are also the majority owner and manager of The Cornhusker, a Marriott Hotel, in Lincoln, giving us a solid presence in Nebraska&apos;s two largest cities," said Joseph Khairallah, chief operating officer of Marcus Hotels & Resorts. "We look forward to bringing our more than 50 years of hotel expertise to the new Capitol District Marriott and to making it the premier hotel in downtown Omaha." Khairallah noted that the company is already familiar with Omaha. "The Marcus Corporation&apos;s movie theatre division, Marcus Theatres®, entered the Omaha market in 2008 with the acquisition of Douglas Theatres and currently operates three Omaha movie theatres. 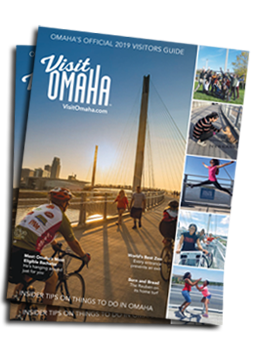 We are investing in Omaha because it&apos;s a great market that builds on our Midwestern roots. We are excited about expanding our presence in Omaha and being part of this very special project that will create an even more vibrant downtown." Michael T. Moylan, president of Shamrock Development, said, "We selected Marcus Hotels because of their extensive management expertise, but also because of the company&apos;s knowledge of the Nebraska market and strong relationship with Marriott. We look forward to developing a hotel that is the first choice for convention attendees, meeting planners and leisure travelers, as well as for the local residents who will enjoy experiencing the hotel&apos;s food and beverage outlets as part of the entire Capitol District." In addition to the new hotel, plans for the $205 million Capitol District include 225 residential apartments, 140,000 square feet of Class A office space, and 90,000 square feet of high-end retail space for restaurants, shops and entertainment, all located around a master planned plaza. The project is located across the street from the CenturyLink Arena & Convention Center and TD Ameritrade Park, home of the NCAA College World Series. The Capitol District Marriott is part of the first phase of the project, however Shamrock expects the entire Capitol District to come on line at the same time in the spring of 2017. For more information on the Capitol District, please visit: http://www.capitoldistrictomaha.com. For the latest news and updates from Marcus Hotels & Resorts, please visit http://media.marcushotels.com. Marcus Hotels & Resorts, a division of The Marcus Corporation (NYSE: MCS), owns and/or manages 20 hotels, resorts and other properties in 11 states. A force in the hospitality industry, Marcus Hotels & Resorts provides expertise in management, development and historic renovations. The company&apos;s portfolio includes a wide variety of properties including city-center meeting hotels, upscale resorts and branded first-class hotels. For more information on the latest news and updates, please visit: http://media.marcushotels.com and follow the company on Facebook and Twitter (@MarcusHotels). Shamrock is a local real estate development company, founded by Omaha native Michael T. Moylan, CCIM. Shamrock specializes in creating downtown mixed-use developments. Recent projects include the historic renovation of The Barker Building at 15th & Farnam, the 1501 Jackson Apartments, restoration of The Paxton at 14th & Farnam Street, the 1000 Dodge Building at 10th and Dodge, and the 1009 Capitol Building. To learn more, please visit Shamrock Development at www.shamrockdevelopment.com. Headquartered in Milwaukee, Wisconsin, The Marcus Corporation is a leader in the lodging and entertainment industries, with significant company-owned real estate assets. In addition to its Marcus Hotels & Resorts division, The Marcus Corporation&apos;s theatre division, Marcus Theatres®, currently owns or manages 681 screens at 55 locations in Wisconsin, Illinois, Iowa, Minnesota, Nebraska, North Dakota and Ohio. For more information, please visit the company&apos;s web site at www.marcuscorp.com. Certain matters discussed in this press release are "forward-looking statements" intended to qualify for the safe harbors from liability established by the Private Securities Litigation Reform Act of 1995. These forward-looking statements may generally be identified as such because the context of such statements include words such as we "believe," "anticipate," "expect" or words of similar import. Similarly, statements that describe our future plans, objectives or goals are also forward-looking statements. Such forward-looking statements are subject to certain risks and uncertainties which may cause results to differ materially from those expected, including, but not limited to, the following: (1) the availability, in terms of both quantity and audience appeal, of motion pictures for our theatre division, as well as other industry dynamics such as the maintenance of a suitable window between the date such motion pictures are released in theatres and the date they are released to other distribution channels; (2) the effects of adverse economic conditions in our markets, particularly with respect to our hotels and resorts division; (3) the effects on our occupancy and room rates of the relative industry supply of available rooms at comparable lodging facilities in our markets; (4) the effects of competitive conditions in our markets; (5) our ability to achieve expected benefits and performance from our strategic initiatives and acquisitions; (6) the effects of increasing depreciation expenses, reduced operating profits during major property renovations, impairment losses, and preopening and start-up costs due to the capital intensive nature of our businesses; (7) the effects of adverse weather conditions, particularly during the winter in the Midwest and in our other markets; (8) our ability to identify properties to acquire, develop and/or manage and the continuing availability of funds for such development; and (9) the adverse impact on business and consumer spending on travel, leisure and entertainment resulting from terrorist attacks in the United States or incidents such as the tragedy in a movie theatre in Colorado in July 2012. Shareholders, potential investors and other readers are urged to consider these factors carefully in evaluating the forward-looking statements and are cautioned not to place undue reliance on such forward-looking statements. The forward-looking statements made herein are made only as of the date of this press release and we undertake no obligation to publicly update such forward-looking statements to reflect subsequent events or circumstances.